When writing about a theatre, it is very important to be practical. Write your own knowledge about theatre and what you really feel about theatre. Some of the major aspects of writing about theatre are a presentation, layout, and the stage directions and also cast list. 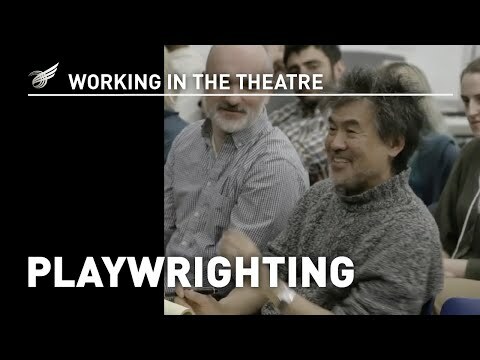 These aspects are very crucial in theatre writing. Synopsis writing about theatre is not that important since it gives the general meaning of the theatre. It is not very useful and acts as a hindrance. It is not necessary unless asked to give a synopsis. The most important thing is the title of the work theatre. Various plays are heralded by pages baring its character descriptions. When a playwright feels too wordy, the actor’s age may be included and even some little physical description. Character description reduces the general reading experience. It inhibits the general imagination since everything is highlighted in the description. The best feeling about theatre is the feeling when you get surprised. But when all information is given before the action or the reading, there would be nothing to enjoy. Stage directions are the other important aspects to look into when writing about theatre. They help in visualizing and revealing on the playwright. Stage direction can give a distinct difference between good dramatist and a great writer. Stage direction as a style gives a great deal to the writer and the time in which the piece of writing was written. Stage directions should be very honest and logical more than even the play itself. The reader watches them carefully since they visualize the action in playwright. The presentation of a theatre is seen in pictures and masses of images as some scripts include clips from the internet. The images are mostly not used well which shows that one does not trust what they do in writing. There are no rules or series of the clear sketch. The use of images should be precise and not over exaggerated. They should be minimized and used only to represent the whole playwright. Another aspect of writing about theatre is originality. The work should be original in that the work should be new. Various people try to change setting forgetting to change ideas. Ideas are more valuable than the setting. The place where the play takes place can be the same but of different ideas. Playwright of the theatre is very essential. One’s style, rhythm or even the pauses placement gives one ownership of the piece of writing. Writers should be honest about the originality of work. Making your work funnier simply means manipulating the regular words or work to look new in a creative manner. The way words are used creatively helps in the development of one’s knowledge and skills in writing. Creativity is a way in which one expresses themselves in writing. Writing involves the mind which is displayed distinctly and uniquely. Its effect is seen in different ways. The manipulation of words in writing helps one open up to new changes in life. It improves communication skills and their relationships since one is open to sharing information. There are very many ways to express your creativity in writing. To start with is taking key points from famous writers. In this way, you learn how to use certain words appropriately. It also gives ways in which certain words are used to capture readers’ ears. Start by going ahead, breaking a hard irresistible work into manageable work and handle them one by one. Ensure that the opening line is captivating. Make sure that you write something. It is also important to note something on what celebrities say. Note how they use literary devices and how they put them to evoke the feelings of the audience. This is only used for training purposes. Just note what made the speech effective or where the speaker failed. Films also can help with learning and inspiration. It is important to jot down for future reference and even helps in understanding how a certain mood was attained. Ensure that you leave your readers in suspense and hunger for your manipulation of literary devices. Literary devices improve the taste of the piece of writing because of the use of appetizing elements used and make the setting unique. These devices include metaphors, alliterations, irony, repetition, and allusions among others. Understand the beliefs of most of your readers to write what they understand. Avoid the use of irritating things in writing. Be unique and avoid obvious things in writing because it will make your work boring. A writer or a blogger is one who likes reading and exploring features of writing so as to keep improving their work. Always be specific and precise in what you do. It is also good to take note of daily occurrence no matter how small. It is a way of keeping records, and one can use as reference someday. It might be phrased to describe feelings, events or any other occasion. Those phrases can be points of a piece of work. You can also realize the pros and cons of emotions. In this case, you can put yourself in other people’s shoes and understand them. Reading human psychology can help you know what is important and a less important thing for people to read. Practicing neurolinguistic programming to understand the audience’s feeling but nerve overdo things. In conclusion, a writer should be a good reader. Should read extensively. Practice is also very important to come up with good work of art. You should be aggressive in writing. New creative tactics of writing make your work funnier so embrace them.